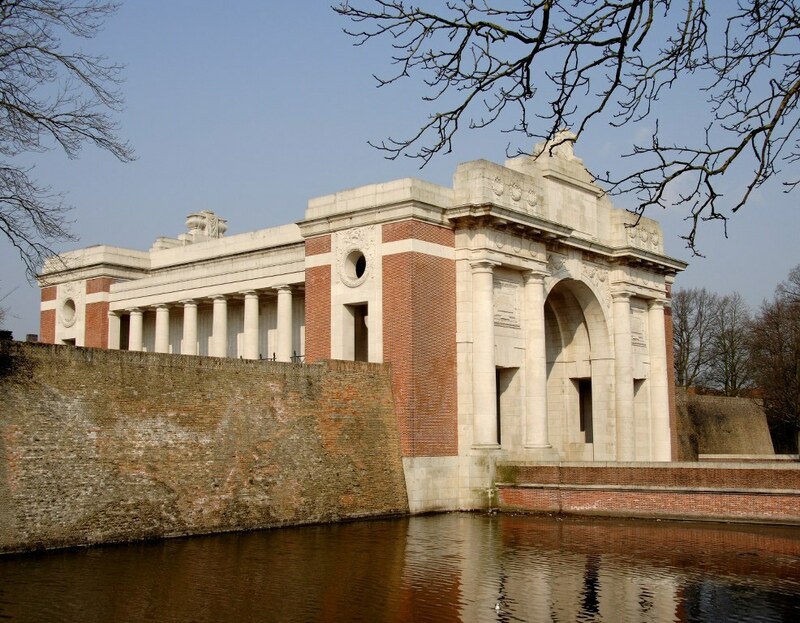 With the aim of diverting German troops away from Loos when the British attack went in there on 25th September 1915, there were three subsidiary attacks by the British, the largest being the Second attack on Bellewaarde in the Ypres salient. 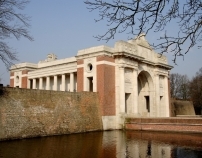 At 4.20am this attack was launched on a 2000 yard front from Hooge to the Bellewaarde Ridge. On the right the 3rd Division went forward with 1st Royal Scots Fusiliers from 9 Brigade, 1st Gordon Highlanders and 4th Gordon Highlanders from 8 Brigade and 2nd South Lancashire and 2nd Royal Irish Rifles from 7 Brigade. Their advance astride the Menin road was preceded by the firing of two pairs of mines. The German front line south of the road was taken in the first rush but no further progress could be made whilst north of the road, uncut wire and German machine guns prevented 7 Brigade from capturing Hooge Chateau and the strongpoint at south-west corner of Bellewaarde Lake. In the afternoon a heavy German bombardment of the captured trenches followed by a strong bombing assault resulted in these positions being evacuated and 3rd Division falling back to their own front line. 42 Brigade of 14th Division attacked on the left with 5th Shropshire Light Infantry, 5th Oxford & Bucks Light Infantry and 9th Rifle Brigade in front. The German front line was taken at three separate points across the Bellewaarde ridge, but Bellewaarde Farm was not captured. There followed a number of attempts to bomb the enemy out of the intervening stretches of their front line but the inferiority of British grenades at this stage of the war meant that these were unsuccessful. Again in the afternoon a strong German counter attack developed which fell hardest on 9th Rifle Brigade near Railway Wood. 9th King’s Royal Rifle Corps, also of 42 Brigade moved up in support but both battalions were driven back to their own line. However they did manage to keep possession of the new mine crater. Eventually 5th Shropshire Light Infantry and 5th Oxford & Bucks Light Infantry, further south, were forced to withdraw. No ground was gained and the casualty list was long. Over 2000 among the ranks of 3rd Division and nearly the same number for 14th Division.